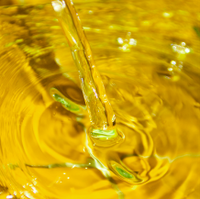 Foodstuffs, nutraceutical and cosmetic preparations are composed of a wide variety of ingredients, many of which contain lipid substances, such as processed fats and oils from vegetable or animal origin. These components are quite sensible to oxidation processes and they get rancid easily, thereby affecting not only the organoleptic properties (colour, odour, and flavour), but also nutritive values or even safety of finished product.For this reason we have developed Vitapherole AOX: a range of antioxidant blends of tocopherols and other natural synergists to avoid the most recurrent oxidation problems of the food industry: vegetable oils, fish oils, animal fats, frying oils, etc. Since more than twenty years, nucleotides are used in infant formulas and in food supplements targeted to gut health, immune system, sport nutrition and nervous system (cognition and neural pain reduction). 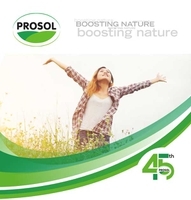 Few years ago Prosol developed Ribodiet®, a yeast extract standardized in free nucleotides content (>40%), source of AA, Mineral salts and group B vitamins, naturally occurring in the yeast.A recent in vivo trial on a murine model of Alzheimer disease showed Ribodiet® efficacy in controlling the most common form of neurodegenerative disease. Gastro-AD® is a clinically studied food supplement based on non-GMO soy fermented by Lactobacillus strain L. delbrueckii R-187. It has been proven to support management of acid reflux and gastric discomfort. Gastro-AD® represents a natural, safe and effective alternative to OTC options for digestive discomfort. 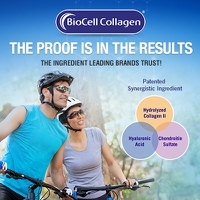 This white paper discusses scientific & clinical research on BioCell Collagen®: a dietary ingredient that contains a highly bioavailable, naturally occurring matrix of hydrolyzed type II collagen, chondroitin sulfate and hyaluronic acid (HA). The science support both joint and skin health.